For the better part of the last two weeks, my morning tea each day has been hot cross buns. I am absolutely addicted to the Cadbury Choc Chip hot cross buns from Woolworths, and have already made my way through the packet I stashed in my freezer. I’ve since moved onto a second pack of regular fruit buns, which I have enjoyed lightly toasted and slathered in butter. Let’s be honest, hot cross buns aren’t exactly the most blood sugar friendly food to conquer. They have a pretty rapid effect on my blood sugar levels. I’ll need to give my rapid acting insulin dose at least 20 minutes before tucking in if I want to avoid a massive spike in my blood sugar levels. If my starting blood sugar level isn’t in range, than I know that I don’t stand a chance against the carbs. Even with that prebolus, I can probably expect my blood sugar to peak at 9 or 10mmol. With Easter fast approaching, I’ve already seen a fair bit of commentary on social media about what people with diabetes should and shouldn’t be eating this weekend. I feel the need to write this because I am not ashamed of what I am choosing to eat. I refuse to believe that I am a ‘reckless,’ ‘careless’ or ‘non compliant’ person who will live to see the consequences because I am not following a ‘diabetic friendly’ diet. My game plan for the next couple of days includes coffee, chocolate, hot cross buns and a few nice family dinners. 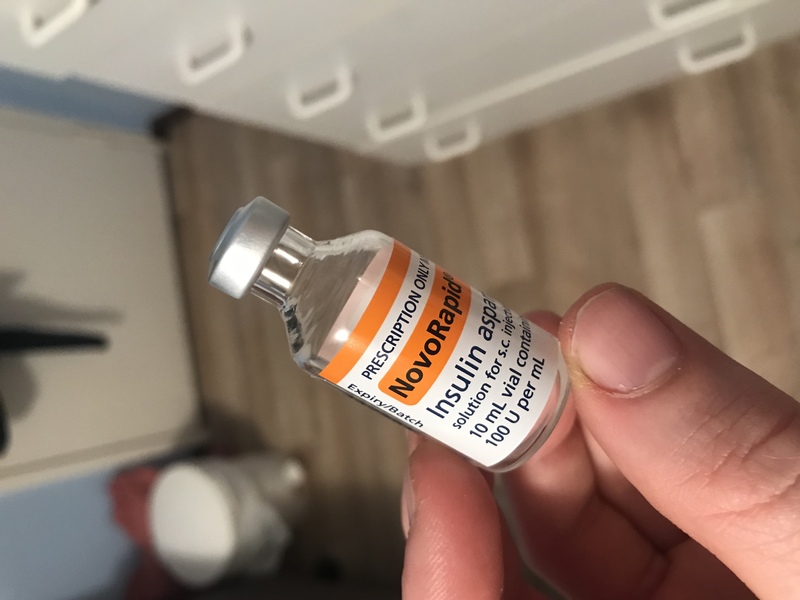 I am more than comfortable covering my carbs with insulin, and pre bolusing where needed. That’s all that really matters to me. To be completely honest, I really couldn’t care less what a diabetes organisation, or anyone else for that matter, thinks that I should be eating over Easter. Have a happy and safe Easter long weekend. It was twenty minutes past ten. I knew that I would be stopping for morning tea within the next ten or twenty minutes. A scan of my Libre registered 4.6 and steady, and I gave a pre bolus for the hot cross bun that I was about to eat. 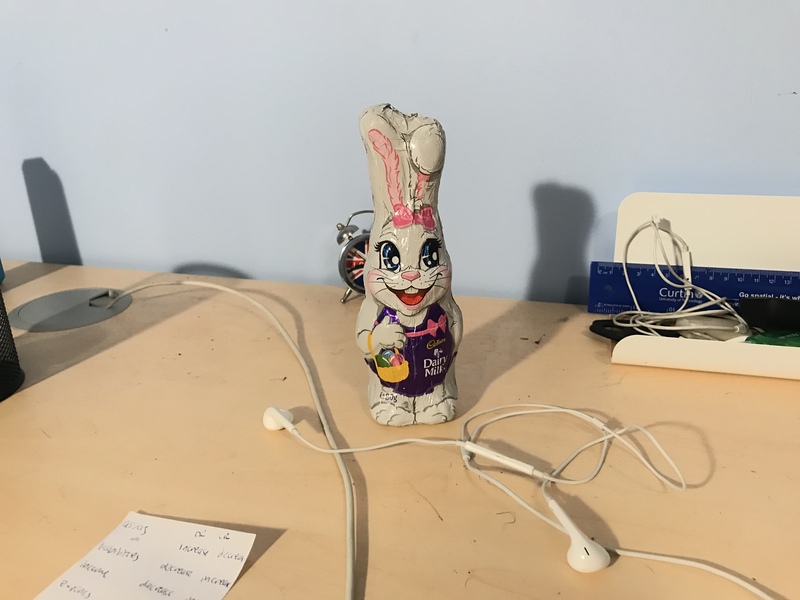 By the time I was seated at the table and buttering my toasted hot cross bun, my insulin pump registered that twenty minutes had passed since my bolus. As I sat there in my seat, a weakness swept through me. An uncomfortable sweat broke out across the entirety of my upper body. The thought of getting up to wash my plate felt far too difficult, leaving me paralysed in my seat. I eventually willed myself back up, made my way down the hall and sank into the chair behind my desk. A scan of my Libre registered 2.3 and slipping downwards. I didn’t have the energy to grab the meter that was in arms reach of me to double check. I was tempted to correct with a glucose tab, but I knew that the hot cross bun wouldn’t take long to bring my blood sugar back up. As I slowly devoured about three quarters of the refreshing cold water in my drink bottle, the weakness began to subside and I began to reassess how I ended up here. The 4.6 was bordering hypo territory, meaning that I didn’t have as much room for a pre bolus as I normally would. It was also a Libre scan, and a finger prick could have been as much as half or 1mmol lower. Add to that, I hadn’t eaten breakfast earlier because I wasn’t particularly hungry, which could have heightened my insulin sensitivity. Most of the time, hypos don’t really stop me from what I’m doing. It’s usually nothing more than the odd glucose tab to ward off a downward trend arrow, sometimes more. But paralysing moments like these? They remind me of just how much weight rests on the decisions that I have to make each and every day. 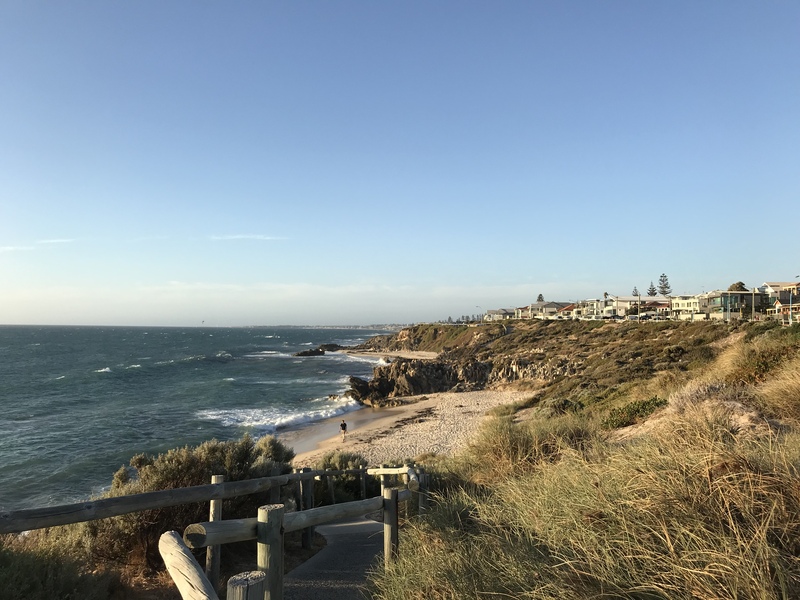 A couple of Saturdays ago, I was lucky enough to attend the Type 1 Tech Summit in Perth, where I had the opportunity to catch up with some of the reps from the diabetes device companies to find out what’s new. Last May, mylife Diabetescare Australia boldly launched the Ypsomed YpsoPump in front of a group of people with diabetes in Sydney. My most recent thoughts on the YpsoPump are here. If the chatter that I see among social media communities are anything to go by, Ypsomed is definitely a serious contender among Aussies considering insulin pump therapy. One year on, Aussie duo Sylva and James are determined to do more to reach consumers. A partner for CGM integration with the pump is still yet to be announced. The pump will eventually be bi-directional with the smartphone app, with interoperability at the heart of the Swiss based company. I’m also excited to hear that there are plans to introduce luer lock infusion sets for use with the pump. Unfortunately the Orbit infusion sets were the deal breaker for me, with the sets signalling too many occlusion alarms for me personally. Medtronic have just launched their 670G hybrid closed loop system. Comprising of an insulin pump and Continuous Glucose Monitor, the 670G automatically adjusts background insulin based on blood glucose readings from the sensor. 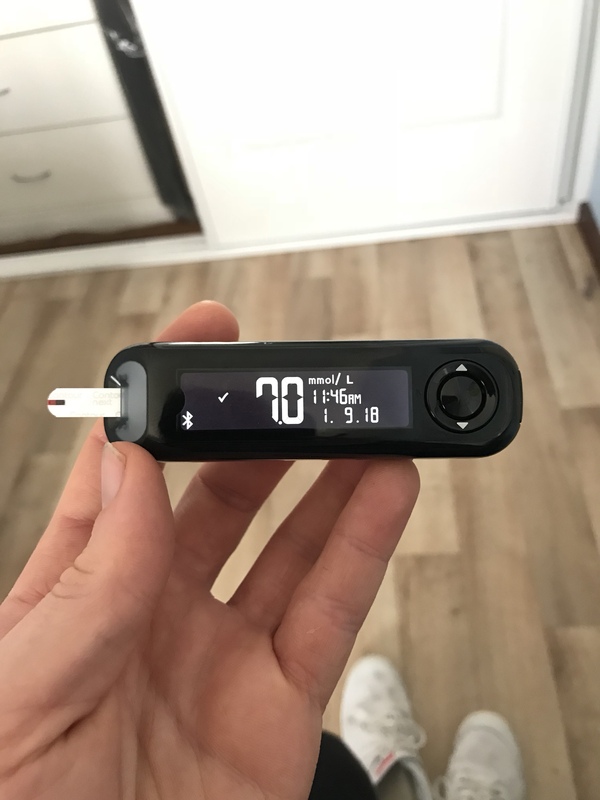 While users will still need to manually input their insulin doses for meals, this system will significantly minimise the impact of lows and highs. The 670G has a target range of 3.9 to 10mmol, and will correct blood glucose readings to a default target of 6.7mmol. However my understanding is that the system won’t try to correct a blood glucose level of say, 5mmol and steady, back up to 6.7. Unlike AMSL customers who have been promised free upgrades to their t:slim pumps via a software update, Medtronic users are ‘stuck’ with the 670G for the duration of their four year warranty period. Medtronic are working on bringing downloadable updates to future generations of their pumps, however I don’t get the impression that this will be a reality anytime soon. Roche’s Combo insulin pump has been around for the past 7 or 8 years. Although we don’t hear a lot about it, it is still sold and supported here in Australia, and is becoming a particularly popular choice for people using DIY closed loop systems. Back in August, I first laid eyes on the beautiful new t:slim insulin pump that AMSL would be distributing in Australia as a successor to the late Animas Vibe. They committed a true crime that night after putting a t:slim in front of me and then taking it away two hours later. Thankfully, justice eventually prevailed and AMSL later coughed up a #TslimForFrank which I am still happily using today. My initial thoughts are here. Still in the midst of their Animas to Tandem transition program, I have seen many comments on social media expressing long delays in being able to get t:slim pumps due to a shortfall of stock. The surge in demand for the t:slim, in part due to the demise of Animas, was unexpected. However new stock has started to arrive in Australia and AMSL are balancing transitions for existing Animas customers with new pump customers. Dexcom G6 with Basal IQ, an update to the t:slim which automatically suspends insulin when blood glucose values are predicted to go low, was expected this past Summer. A launch is now pending the products receiving regulatory approval from the TGA. However I’d put my money on August at the Australasian Diabetes Congress, along with the usual flurry of diabetes tech announcements. It was also great to reconnect with Nick from Ascensia Diabetes Care following on from the launch of the Contour Next One blood glucose meter last year. You can read my thoughts on the meter here. One of the more noteworthy announcements from Ascensia was a new partnership with a company called POC-Tech to bring a CGM product to the market. It is expected to launch in Europe later this year, and encouragingly Australia is also set for an early release. I’ve long since expressed my disappointment in the fact that events like the annual Diabetes Congress showcase the latest and greatest technology to healthcare professionals, but not people with diabetes. Holding an event of this nature has been somewhat of a vision that my fellow Young Adult Diabetes Committee members have been working towards over the past two years. With the support of Perth Diabetes Care and the stakeholders who generously supported the day, we were able to make an event like this a reality. Hopefully there’ll be more to come. I went back to uni a little over a month ago. It wasn’t the easiest decision to make as an adult with ‘adult’ responsibilities and a full time job, but ultimately it’s a decision that I hope will be a good investment in my future. This year I have traded in my evenings to attend ‘virtual’ classes, and my weekends for assignments. It’s been challenging, to say the least. I’m the kind of person who likes to get a good head start on things. The downside to getting ahead is that there have been many fleeting moments when I’ve felt like there’s been nothing more to my existence than study. I’m studying accounting, which is something I once swore I’d never do because every man and his dog seemed to do it. But it seems to be a profession that’s in demand, and I wasn’t half bad at it when I last did it in high school. Oh, and my diabetes is still there too. It hasn’t been giving me too much grief. But if there’s one thing that I’ve missed more than anything, it would have to be connecting with others in the diabetes community. While I’ve still been lurking around, I’ve been oddly reminded of what my life was like before I found the DOC four years ago. I know that my wellbeing is far better when I’m an active part of this amazing community. I submitted my two assignments for the semester this week, and I’m very much looking forward to actually enjoying some of my upcoming weekends. I’m not too sure what will become of my blog this year, but I’m hoping I’ll be able to check in here a little more often than I have been. So if you’ve made it this far, I guess the morale to this post is that you’re never too old to take a great big leap of faith. And that I’m not going to let diabetes be an excuse for the regrets I might have had down the track.